Sometimes we need to convert images from one format to another format. Because some websites only allow specific format of photo uploading. If you do not have photo in the format accepted by the website, you need a converter tool to convert photo in desired image format. There are so many tools are available for Windows, mac and linux platforms that can perform this task. But knowing online tools has an advantage. You can use online tools from any place any where if you have internet connection. You do not need to download any software in your system. In this post, I am posting 5 online image converter tools that may help you. Youconvertit is a nice online file converter tool that can be used as image converter. When you upload the image, it automatically detects the format and then prompt the format to which you want to to convert. Select the desired image format and then enter your address. Image will be sent to you after conversion. Zamzar is another nice online tool that you can use to convert an image from one format to another format. This tool is also simpler in use and sent you the converted file to email. If you can looking for an easy to use online image converter tool, you can use this tool. i2img is another nice tool. It supports various image file formats and you can easily convert images from one file format to another file format. You can either browse image from your system or enter the URL of image file. Online Image Convert is not a single tool but the collection of various image converters. For each image file format it has different image converter tool. 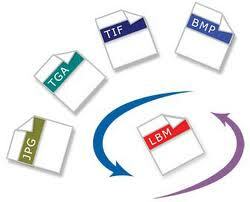 The collection of tool includes, BMP converter, EPS converter, JPG converter, PNG Converter and many more. Go2convert is one of my favourite image converter tool. First upload the image and then select the image format in which you want to convert it. These are few nice online image converter tools. If you know any other tool that should be in the list, let us know via comments.